Derren’s forth special was The Gathering. 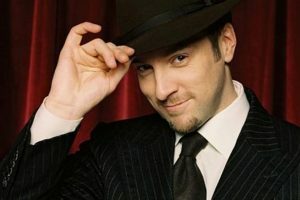 It was filmed in a mystery location in front of an invited audience which included magicians, psychologists, cab drivers, celebrities, psychics, NLP practitioners and some students, and was a fusion of some of the things Derren used on his first national tour as well as some slightly adapted things for the television audience. It aired on the 29th May, 2005. The Gathering isn’t currently available on All 4 but you can purchase it on Amazon Video.